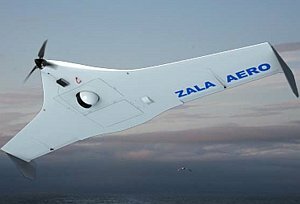 Firm orders the company «ZALA Aero" is provided to the end of the summer, and maybe by the end of 2011. The number of orders exceeded last year’s level by 20%, said the deputy director of the «ZALA Aero" Maxim Shinkevich. According to the deputy director, devices ZALA not inferior to a foreign analogues. "We are ready at any time to go to the test and prove that our machines are not worse, and even better than the Russian Defense Ministry purchased Israeli counterparts," — said the expert. The company is negotiating with the Russian Ministry of Emergency Situations, which budgetary provision for the formation of UAV units to fight fires. According to the deputy director, the main customers are the special forces units ZALA Defense Ministry, the FSB, the Interior Ministry. In addition, the company works closely with avialesohranoy. "We hope that this year will begin our active cooperation with the Russian Ministry of Emergency Situations," — said the deputy director of ZALA. Answering at the same time that "phones ZALA worked in the interests of MOE and the Krasnoyarsk Territory, and in the town of Pushkin, where ZALA-421-04M is on the supply Avialesookhrana." Apart from supplying vehicles to customers and provide them service the company also provides services for the operation of UAVs.